There are certain video games that are considered canon by many, titles that anyone who writes about video games should feel some obligation to fawn over. These are revolutionaries, the heavy hitters that really meant something to both the games industry and the gaming community, the standouts that left a lasting impression. I try to play as many of these as I can, and, for the most part, I tend to really enjoy them. There’s been one longstanding exception to this rule for me, however: The Legend of Zelda: Ocarina of Time. This is baffling and frustrating for me. I adore the Legend of Zelda series, and I respect Ocarina of Time for all of the revolutionary things it did for gaming as a medium. I don’t, however, enjoy playing Ocarina of Time. I’ve started the game three times now, and I typically get to the point where Young Link hangs out with the Gorons before I put it down in exhaustion. The furthest I’ve ever been was just past the Jabu Jabu scene, in which Link climbs inside the belly of a giant fish god to rescue Ruto, the Zora princess. For me, the pinnacle of 3D Zelda games is either Twilight Princess or The Wind Waker, both of which I enthusiastically played to 100% completion. There’s this ongoing internal struggle that haunts me during my sleepless late-night hours, a battle between those two games as my favorite Zelda game ever made. Lately, The Wind Waker has been winning this fight. But to me, The Wind Waker has the most interesting and game-changing gimmick of them all: The world has been flooded, and the denizens of Hyrule are forced to live on the tiny little islands that were once presumably mountain peaks. It’s sort of like a cartoony version of Waterworld that doesn’t star Kevin Costner and is not terrible. But this changes so much about the game world. In Twilight Princess, you can travel around Hyrule and be pretty comfortable with where things are located as long as you’ve played Ocarina of Time. In fact, there are even a lot of similarities between the world map in Ocarina of Time and A Link to the Past, though they’re far from exact. As you explore these islands, the villagers seem pretty content, living their lives in peace. But once you progress far enough into the game, you begin to realize how dark this storyline is. 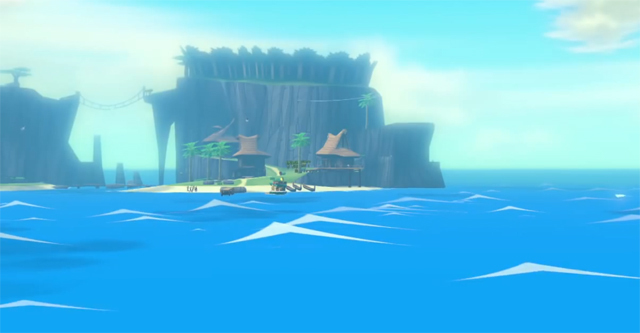 The Wind Waker is essentially a post-apocalyptic version of Hyrule. In it, Ganondorf was resurrected after the events of Ocarina of Time and no hero emerged to combat him. Things were so bleak that the gods saw fit to flood the entire world, sealing Hyrule at the bottom of this vast new ocean. Yes, the gods hit the proverbial self-destruct button because it was the only way to stop Ganondorf from acquiring the missing pieces of the Triforce. But the denizens of this isolated, flooded version of Hyrule seem happy enough. I’m probably relying a bit too heavily on my own interpretation here, but there’s a part of me that insists that this happiness came at a great cost, that the various races these creatures belong to have been put through unimaginable sorrow, seeing their homelands destroyed and many of their respective kinds being displaced or drowned. They smile, but it’s a smile that comes from this tiny little place of hope that was all but consumed along with the flood. 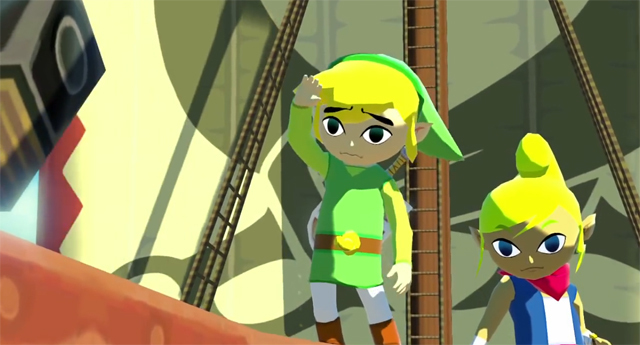 So for me, The Wind Waker is a game about hope, but it’s the sort of hope that comes out of dire circumstances, not from prosperity and peace. This is why the game’s bright, cheery color palette is so interesting to me. It’s like the game’s creators decided that this story could have been especially dark, and following Majora’s Mask, which was possibly the darkest Zelda game of them all, they decided to take the aesthetic in a radically different direction to mitigate some of the gloom. It works, though, and The Wind Waker‘s visual style allows it to have aged arguably better than any of the other Zelda games, even the ones that came after it. The upscaled HD remake is especially beautiful. 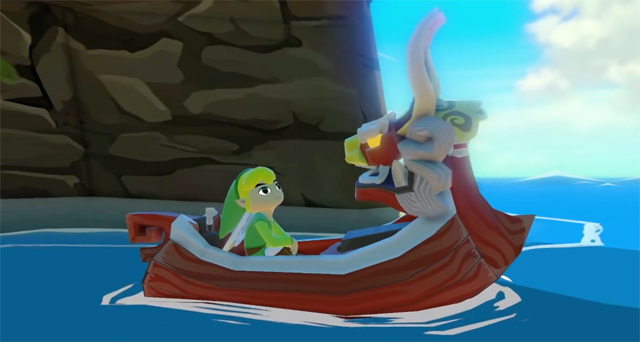 One of the other things I admire about this game is that it contains one of my personal favorite Zelda characters of all time: the King of Lions, the seemingly sentient boat who guides Link on his journey. Of course, it turns out the boat doesn’t have its own will but is being magically possessed by King Daphnes Nohansen Hyrule. This former king aids the new hero in defeating Ganondorf, which he presumably believes could return Hyrule to its former glory. However, at the end of the game, Daphnes wishes destruction on Old Hyrule once and for all. One could take this to mean that Old Hyrule had no future, and that preserving it beneath the ocean was just a nostalgic whim of a once great king. His letting go allows Link and Zelda to move on, to find a new kingdom and start over (which they finally do in Spirit Tracks). So we have this game that — beneath its colorful exterior — presents a really deep, sad theme: that sometimes, the cost of progress is letting go of something you love deeply. What makes this so profound to me is that that thing, Hyrule, is the very thing the player attempts to save in just about every other Zelda game. So this game is telling a player that, despite working to save this kingdom over and over again in the past, it’s finally time to let it drown. When you think about it, that’s kind of an uncomfortable theme to be confronted with, but The Wind Waker is so whimsical and full of charm that the message goes down easier. 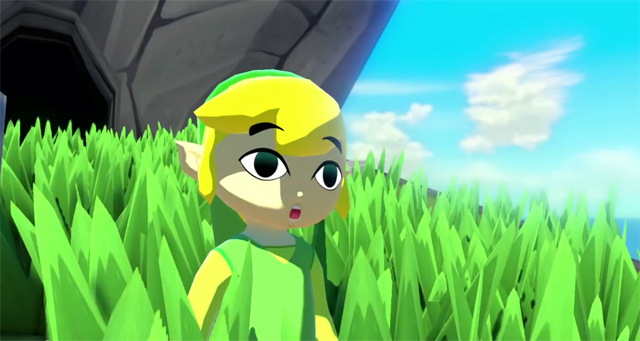 Its kid-friendly exterior is the proverbial spoonful of sugar that sweetens an otherwise bitter medicine, and that makes The Wind Waker an incredibly complex game that appears, on the surface, to be a simple and childish one. And that makes its emotional blow hit twice as hard.